Criticised for his lack of sharpness in Uruguay's opening game at the World Cup, Luis Suarez insists he is in better shape now as he goes head to head with Cristiano Ronaldo and Portugal in the last 16. But since then he has scored in each of his country's games, against Saudi Arabia and Russia, leaving him just one goal away from equalling Oscar Miguez's Uruguayan record tally of eight at World Cups. "Much better than in the first game, which isn't difficult," laughed the Barcelona striker, speaking about how he felt ahead of Saturday's match in Sochi. "I always demand the maximum from myself. I am always criticising myself. Having the support of my teammates helps, speaking to the coach is important too," he added, sitting alongside Oscar Tabarez at Friday's eve-of-game press conference. "You don't need any greater motivation than to see what is in play tomorrow, in the last 16 of the World Cup against the European champions. It doesn't get any better." 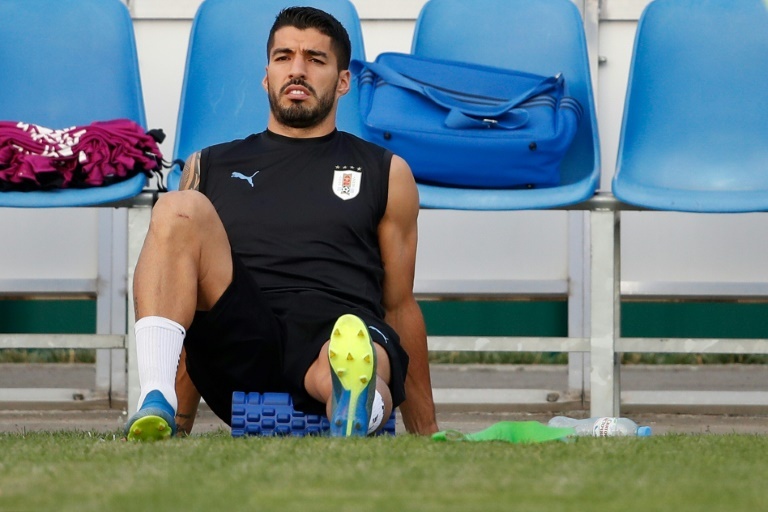 Deprived of the chance to play at this stage of the last World Cup after being suspended for his infamous bite on Italy's Giorgio Chiellini, Suarez will lead the Uruguay line at the Fisht Stadium alongside Edinson Cavani. "Cristiano Ronaldo is the leader of their team. It won't just be one player marking him, it won't just be Godin. There are things we need to do from a collective viewpoint to try to limit him," said Tabarez, Uruguay's veteran coach, looking ever more frail at the age of 71.